Beautifully engraved U.S. Dollar Gold Bond certificate from the Republic of Poland issued in 1920. 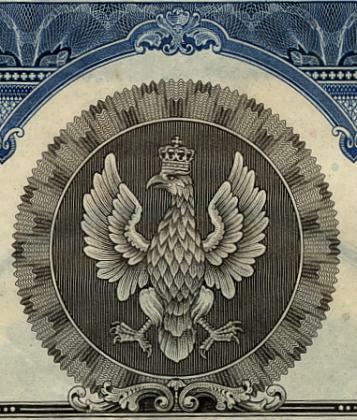 This historic document was printed by the American Banknote Company and has an ornate border around it with a vignette of an eagle wearing a crown. This item has the printed signatures of the President of the Council of Ministers, Minister of Finance, Envoy Extraordinary and Minister Plenipotentiary to the U.S.A. and Delegate of the Ministry of Finance to the U.S.A. and is over 98 years old.